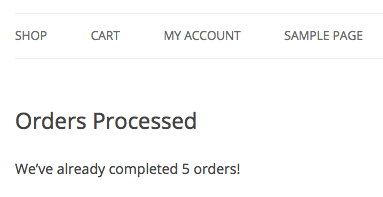 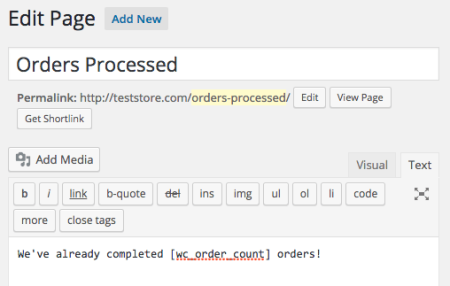 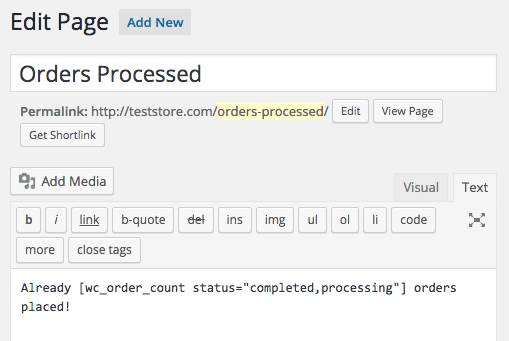 This plugin gives you a new shortcode to display the total number of orders placed in your shop. 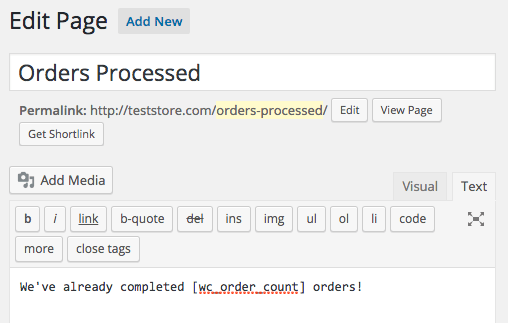 By default the [wc_order_count] shortcode will only display the total number of completed orders in the shop. 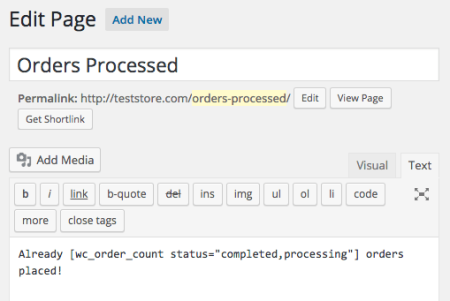 You can use these as well as slugs for custom order statuses in the “status” attribute.